Preview the following list of WWA Events. 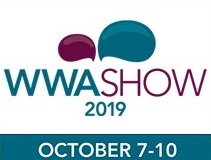 These events provide WWA members with the opportunity to connect with their fellow water leisure professionals, either in person or through online meetings. To learn more about an upcoming event, click the event titles in blue.